Some schools across north west Wales closed on Tuesday after snow fell overnight. A Met Office yellow "be aware" weather warning for snow and ice has been extended until 10:00 GMT on Wednesday. 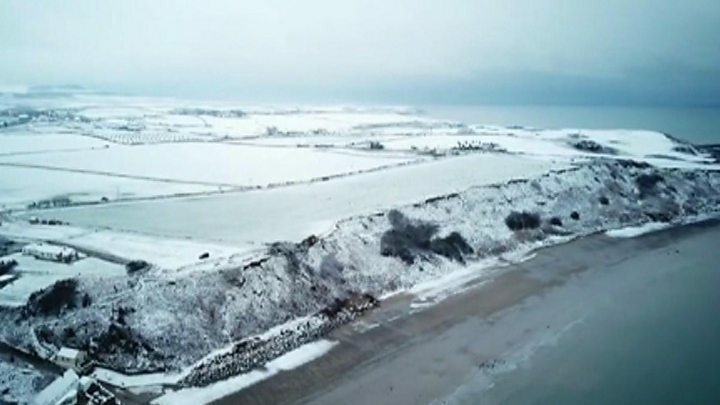 In Anglesey, Conwy and Gwynedd 19 schools were closed due to the weather. Gwynedd had the largest number of closures, with one secondary school, seven primaries and two special schools shut. Snow has fallen across other parts of the country, including Aberystwyth and north Pembrokeshire, with hazardous driving conditions reported on the A478 at Crymych.